When it comes to celebrating love, everyone has their own dream of what an ideal wedding looks like. For some, a traditional gathering in a church is at the top of the wish list, while others prefer a natural setting in the great outdoors. 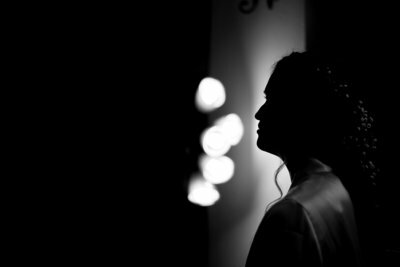 And yet, at the heart of every wedding is one central moment that surpasses all of the perfectly planned details, the food and flowers, the music and merriment. When two people declare their devotion to one another it makes no difference if there are hundreds of guests or just a few observers. 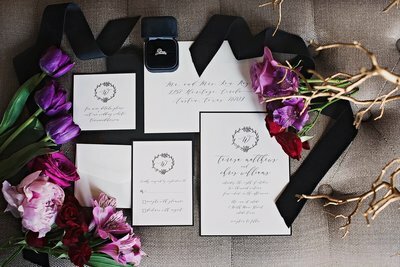 All the months of meticulous planning come down to those two words: “I DO”. 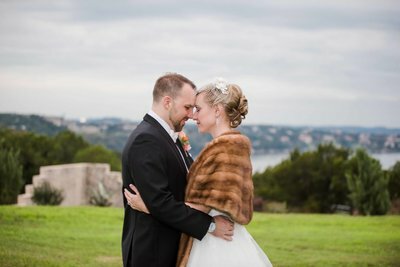 For Jacqueline and Chad, the Texas Hill Country made an ideal backdrop for their nuptials, and true to their perfectly matched personalities they selected a location with plenty of charming, quirky details. The Bridal Suite was decorated in airy lace fabrics and soft colors, nestled inside one of the many classic silver Airstreams that served as guest cabins. 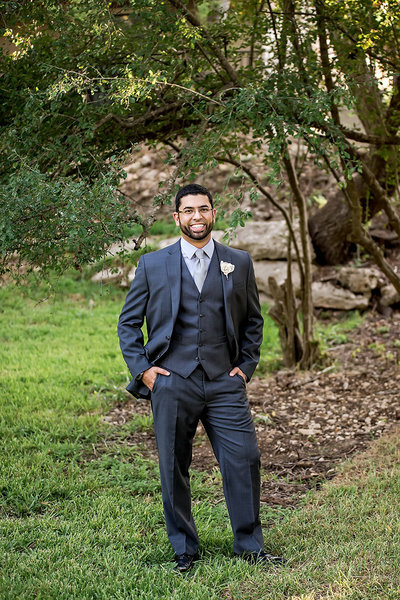 In stark contrast the Groom’s quarters were filled with masculine textures and deep colors of burgundy, emerald, and navy. Of the many potential spots for tying the knot at Three Points Ranch in Round Mountain, Texas, perhaps the most intimate is nestled within the shade of a hundred year old tree grove that had been adorned with lanterns, mementos significant to the couple, and tiny strands of lights braided into the branches. As the officiant led the ceremony, and prayed a blessing for their future, Jacqueline and Chad vowed their lives together. After a breathtaking walking tour of the ranch at sunset, the newlyweds enjoyed some quiet time together with a bottle of wine and s’mores were prepared in the fireplace that had been built in the open-air pavilion. 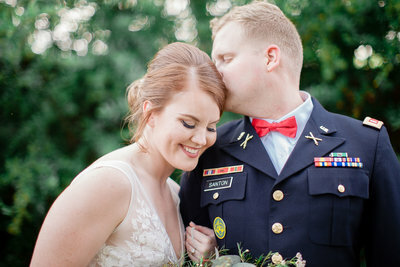 Selecting a quiet country elopement over an extravagant affair allowed these two the luxury of setting the pace of their wedding day and enjoying each moment fully. Howdy I am so glad I found your website, I really found you by error, while I was browsing on Google for something else, Regardless I am here now and would just like to say many thanks for a marvelous post and a all round enjoyable blog (I also love the th)sg/demiene, I don’t have time to browse it all at the moment but I have book-marked it and also added in your RSS feeds, so when I have time I will be back to read much more, Please do keep up the fantastic work.